Game Informer has released a new interview with Ed Boon where he discusses Mortal Kombat 11's variations, changes, and roster. Each character will have three base variations, and one you can build and customize. 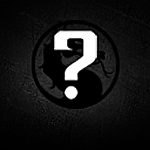 The three base variations will encompass everything a character can do, suggesting no unlockable moves like in Injustice 2. No running or stamina meter. Cinematic X-Rays from MK(2011) and MKX now replaced with new Death Blow move. Two new meters - one for enhancing offensive moves, and one for defensive. Less new characters than MKX. More returning favorites. I'm glad they're leaning towards keeping three base variations that you can't change, and all three will encompass everything the character can do. I didn't really care for unlocking moves in Injustice 2. It just wasn't fun for me. I was really happy to see that this is the direction they're going.